Location! Location! Location! 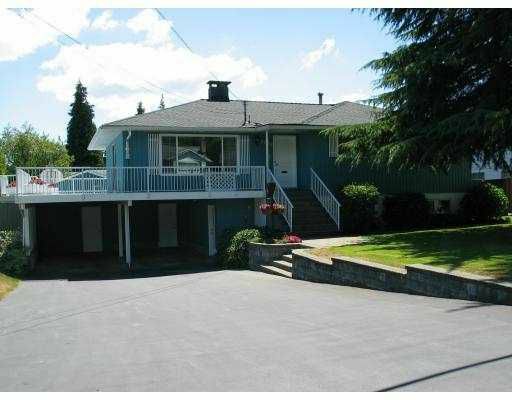 Mundy Park, elementary, junio, senior high schools all within walking distance. Private 75x118 lot. 8850 sq ft with lane access to 24x22 double garage. Front access to two car carpot. Pride in ownership is evident everywhere. Same owner's since 1986 only two owners total. Roof replaced two years ago, newer vinyl double glazed windows. Open entry. Leads to entertainers LR with 2 sided center gas F/P, adjoining DR with sliders to wrap around deck. Newer oak kit with under valance lighting and garden window over sink. E/A with sliders to wrap around deck. Master bdrm w/ 3 pc enste & double-double closets. 2 childrens rms on main. Main bathrm remodelled w/ jetted tub & sep shower. Downstairs completely finished rec rm with Rabev heatilator gas fireplace, games room, two bedroom, 3 pi ece bath and large utility room. Walk out to backyard. This home is immaculte and a pleasure to show.